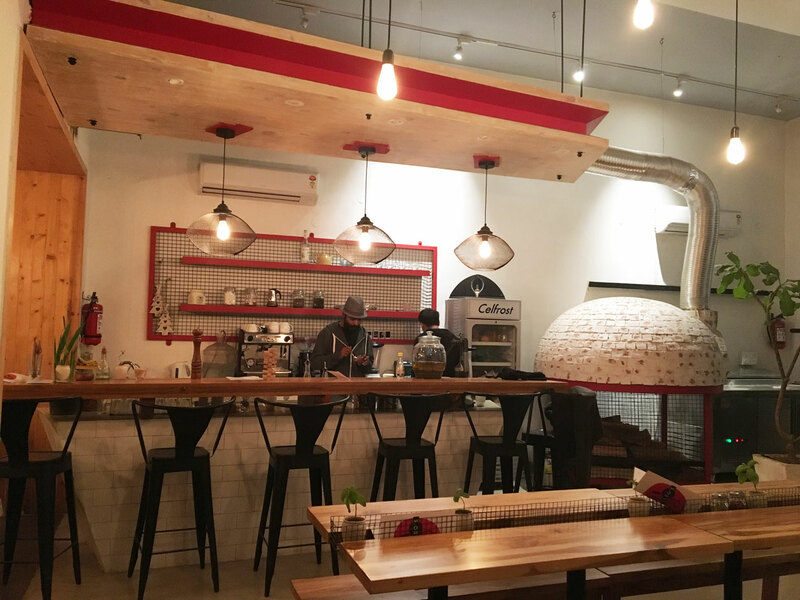 A simple 8 pizza menu, super coffee and and gorgeous space makes this pizzeria shine. 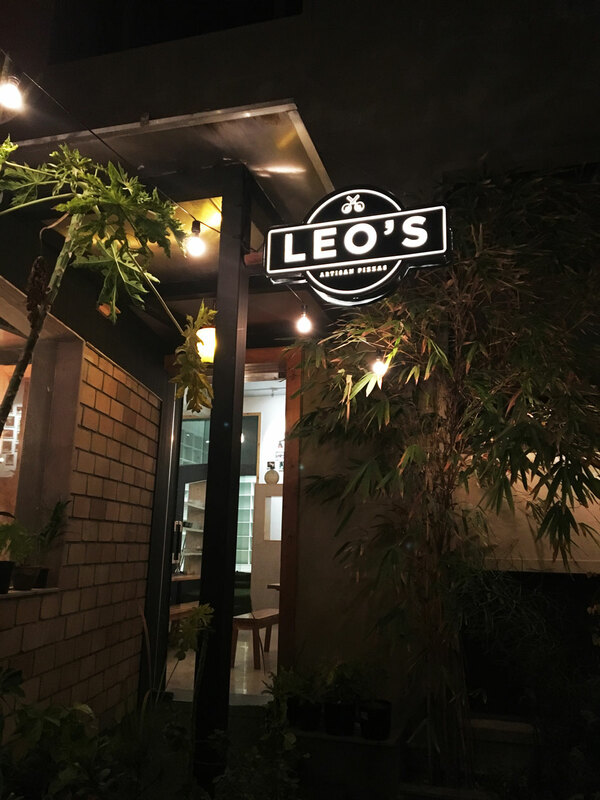 Leo’s is set in a farmhouse so the space is airy and inviting, with massive windows and plants everywhere. Quite a treat in daylight, I’d imagine. The lovely duo managing the show at Leo’s. The pizzeria is named after their dog Leo who passed away in 2016. 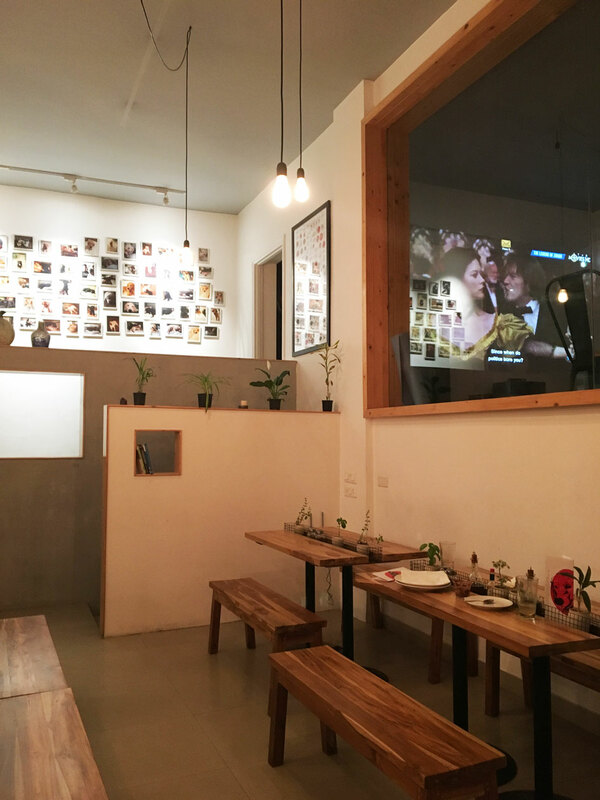 As a tribute to him, the space is pet-friendly so your pooch can enjoy a slice along with you if you so desire. 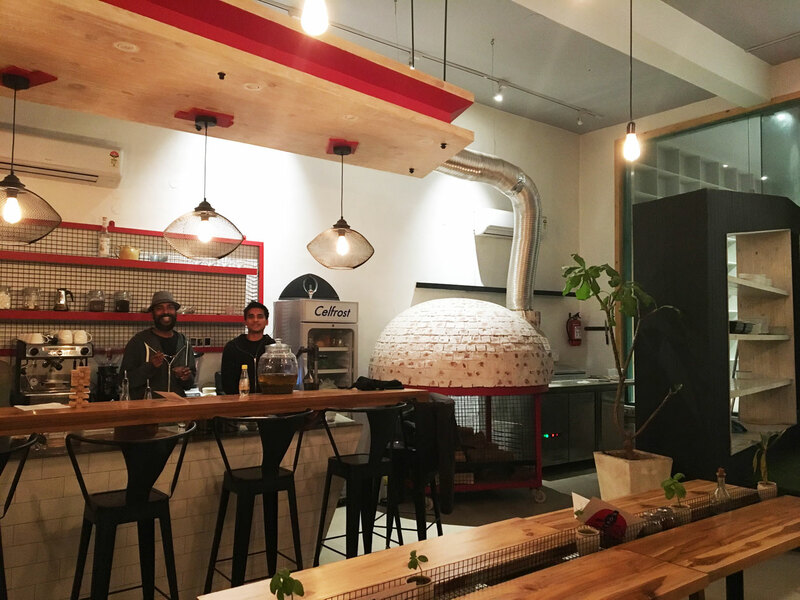 The menu has deliberately been kept simple so the focus is on the pizzas. There are 5 non-vegetarian options, and 3 vegetarian ones. 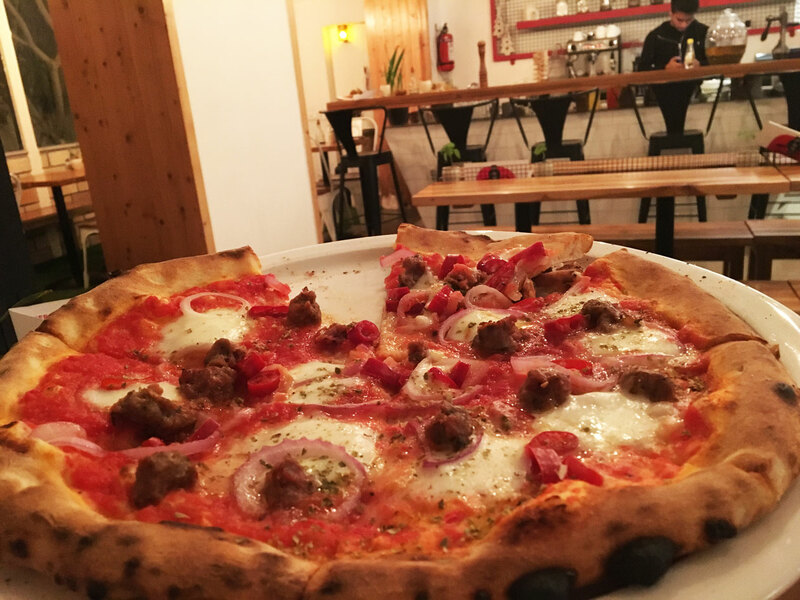 Deval went for the Salciccia; a combination of Italian sausage, fresh buffalo mozzarella, tomatoes, mushrooms, fresh onions and red chillies. He said it was one of the best pizzas he’s ever had, which is a TALL claim in our pizza loving family. 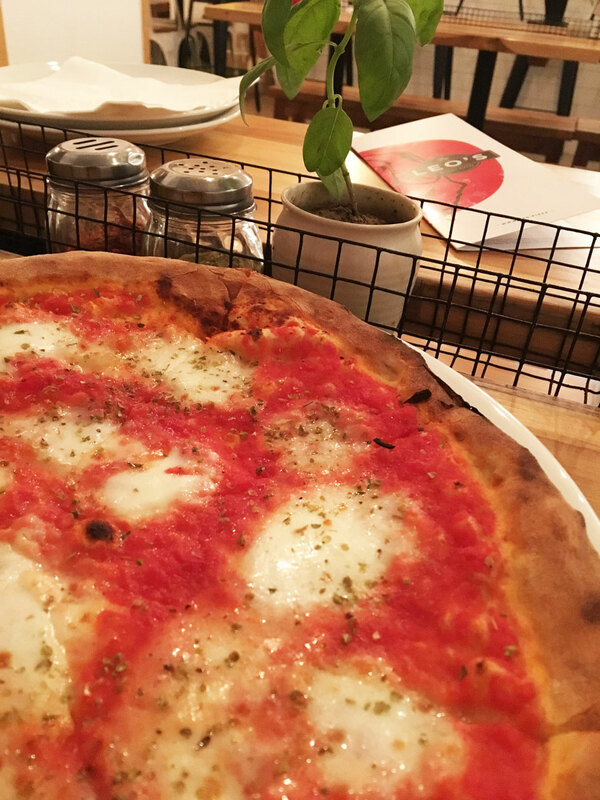 I got old faithful, a Margherita – tomatoes, fresh buffalo mozzarella and basil. The sauce was light and fresh, and the base was pretty near perfect. Mozarella was good. I can’t say it was the best pizza I’ve ever had, but it was good. What I really enjoyed was how light it was. Also must mention the dark chocolate mousse we had for dessert. I’m not one for mousse, but this was the only dessert on the menu so we gave it a shot, and it was great. 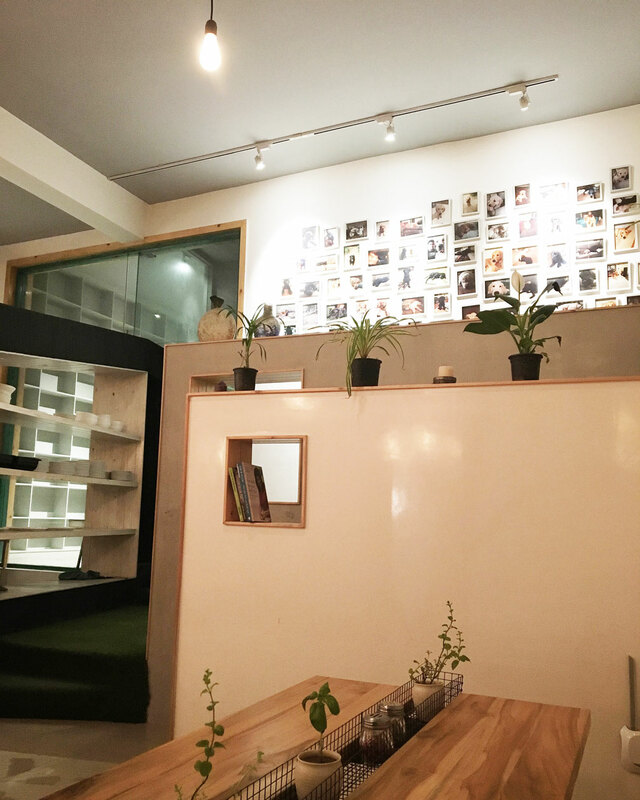 That’s a wall of dog photos. Sip your Malabar coffee and take in the cuteness. Can’t wait to bring our dog here for an all-inclusive family treat. Leo’s Pizzeria, 2, Club Drive Road, Ghitorni, MG Road, New Delhi. Call them at 095556 56666.